Dr. Niraj Gupta is Associate Professor, School of Corporate Governance & Public Policy, Indian Institute of Corporate Affairs, Ministry of Corporate Affairs, New Delhi. He is having more than 20 years of Research, Teaching & Consulting Experience. He is a Ph.D in Brand Management with MBA, M.com and Post Graduate Diploma in Financial Management & FDP (IIM Ahmedabad) . He is a certified management teacher from UGC. He is also a Certified Trainer from Securities Exchange Board of India and Bombay Stock Exchange Institute for conducting Executive Education Programmes. 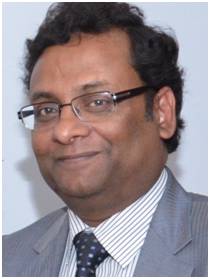 Dr. Gupta is an ICSSR Visiting Research Fellow and had been Visiting Professor to many European Universities and Research Institutes like Foundation Maison Des Sciences Paris, University of Rouan, FRANCE , CNRS- FRANCE , Asian Institute of Technology Bangkok, Singapore Management University, Singapore etc. He has also been performing as consultant to Ministry of MSME for their Entrepreneurial Capacity Development Program & NCDPD, Ministry of Textiles for their Cluster Development Programmes. Dr. Gupta has presented & published various research papers in various International / National Journals/Conferences. He is presently working on a Research Project on CSR and Governance Issues for Budapest University of Technology and Economics sponsored by Hungarian Scholarship Board.